"Agriculture . . . is our wisest pursuit, because it will in the end contribute most to real wealth, good morals and happiness." Thank you so much for visiting my web page. This is my first time utilizing an online website platform so please bare with me as I discover how to operate this in the easiest fashion possible. I look forward to growing with you this upcoming school year. Hello, my name is Ms. Jenny Kaslin and I am the new Agriculture Instructor this year at Gridley High School and I am so excited to be here! Now, you are probably wondering who I am and what my interests are. It is always nerve wracking to have a new teacher! Let me assure you, that we are going to have an absolute blast this year! I would love to share with you a little bit more about my background and how I got here. Please feel free to ask me any questions you may have in regards to myself, this website or what my plans are for this school year. I graduated from Ponderosa High School in Shingle Springs, CA where I was an active member in FFA. I showed market hogs at the local El Dorado County Fair and found my love and passion for both livestock and teaching people about agriculture. After graduation I attended Folsom Lake Community College where I pursued a Associate of Arts in Social Science which led me to Chico State to finalize my dream of becoming a High School Ag Teacher. I graduated with my degree in Agriculture Education with an emphasis in Animal Science and followed it up with earning my teaching credential. I student taught at Hamilton High School and quickly realized I was in the right profession. I had the opportunity to coach successful public speakers, competitive CDE teams, awesome SAE projects and teach an array of courses including Floral Design, Introduction to Agiculture, Ag Biology, Ag Mechanics, World Food and Fiber and Ag Business. For this school year I want you to know that I am beyond excited to be here at Gridley High School. I will be teaching 2 sections of Agriculture Biology, The Art & History of Floral Design, Agriculture Mechanics & Manufacturing and Ornamental Horticulture. I look forward to coaching teams, traveling to various FFA Field Days, taking field trips, helping with livestock projects and having an awesome time in the classroom every single day of the school year. We are going to have so much fun! My family comes from the Salinas Valley and Monterey County where they have been heavily involved in Agriculture since they migrated here from Switzerland in the late 1940's and 1950's. My family still owns and operates a Brown Swiss Dairy in Beckenreid, Switzerland and many family members still work for produce companies in the Salinas Valley. However, when I was 4 my family decided to move north to Cameron Park, CA where I grew up and fell in love with the local agriculture. 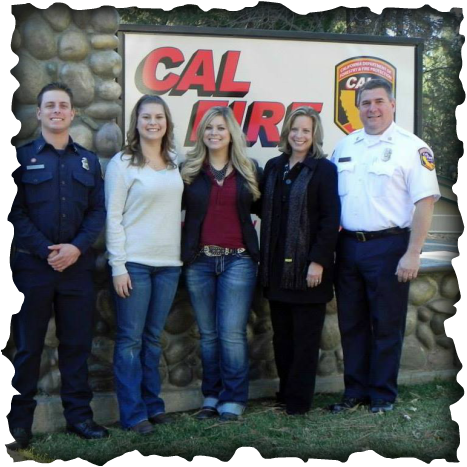 My Father Mike Kaslin is a Unit Chief for CAL FIRE in the Amador/El Dorado Unit and my Mother Alison Kaslin works for Sutter General Hospital in Sacramento. My older Brother Ben is also a CAL FIRE Engineer in San Mateo and my younger Sister Sarah just transferred to Chico State to Pursue a Bachelors Degree in Agriculture Business. Our family of 5 were very active FFA members at Ponderosa High School in Shingle Springs, CA where I discovered my love and passion for FFA.